Direct Fair Trade from small-scale farmers in Central Columbia. USDA and COR Certified by Kiwa BCS OEKO-Garantie GmbH. Cacao is an excellent source of Flavonols, Fiber and Iron. With a pleasant nutty crunch and an intense natural cocoa flavour, these natural 'chocolate chips' is an amazing addition to your salads, yogurt, dairy-free ice cream, smoothie or organic baking. Please grind cacao nibs in a coffee grinder to make your own home-made Cacao Powder for hot chocolate, chocolate glaze for your raspberry cake, home-made chocolate candies, or making home-made cosmetics. Lots of choices and benefits! Ingredients: Dried Organic Cacao Nibs. 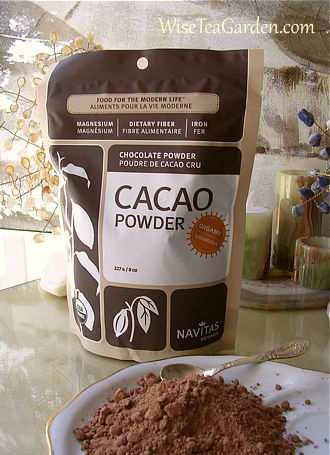 Cacao Powder is made from pressing the cacao nibs into a paste. This removes fat - near-flavorless cocoa butter. Once processors extract the butter, the crumbly solids are then ground into a powder. 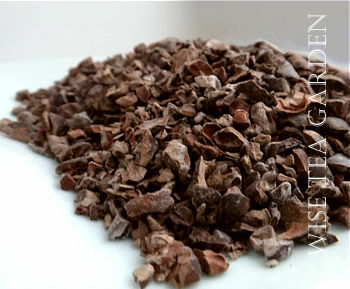 Unprocessed Cacao is high in antioxidants and nutrients, helps to maintain brain and cardiovascular health. Allergen information: Packaged in the facility that also handles Cashews, Coconut and Sesame seeds. %DV per Serving Size of 5g (1 Tbsp): 9% Magnesium, 2% Potassium, 4% Iron, 4% Dietary Fiber, 1% Protein, 1% Fat, 0% Sugar.